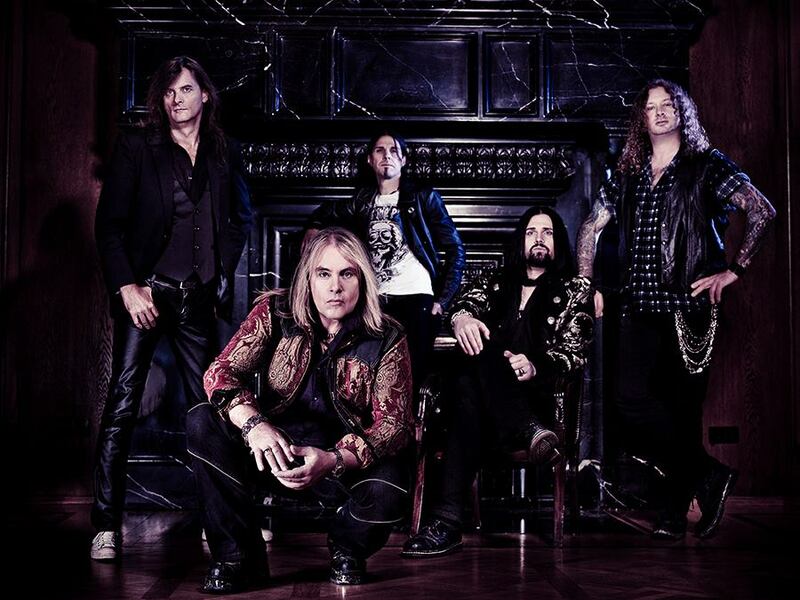 Founded in 1984 and hailed as one of the pioneering Power Metal bands from Germany, the Hamburg-based quintet HELLOWEEN is celebrating their 30th Anniversary in 2014 and have announced their return to Nuclear Blast’s worldwide artist family. Following HELLOWEEN’s appearances on the European summer festival circuit, the band will enter Mi Sueño Studio on the island of Tenerife off the coast of Morocco with producer Charlie Bauerfeind (BLIND GUARDIAN, HAMMERFALL, PRIMAL FEAR) to record a new studio album for an early 2015 release. Last month, Nuclear Blast released special edition re-issues of The Dark Ride and Rabbit Don’t Come Easy, featuring 3 bonus tracks on each album, which can be ordered from the Nuclear Blast USA Webshop. Straight Out Of Hell, HELLOWEEN’s latest studio album released in early 2013, debuted on the German album chart at #4 – the band’s highest chart entry in their home country to date – and held this position for five weeks. The album had five other “Top Ten” album entries in Europe and also cracked the American Billboard Top 100 chart with an entry at #97. HELLOWEEN – Power Metal pioneers and ultra iconic, HELLOWEEN will be releasing their 13th full-length studio album, 7 Sinners, via The End Records, on November 9th, 2010. (This is the U.S. release date). 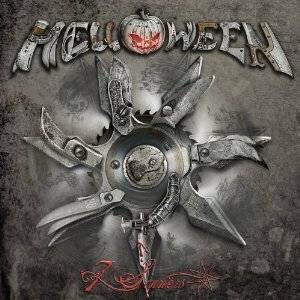 Originating from Germany, Helloween is an influential and important band in the history of Metal. Since their 1985 album release – Walls Of Jericho, Helloween has been an undisputed leader in the Power Metal genre. I’ll never forget buying Walls Of Jericho on cassette years ago… I thought I was the coolest dude on the block for stumbling onto Helloween. Even though I have Walls Of Jericho on CD, I never let go of the cassette version. Kai Hansen was terrific as the lead vocalist and guitarist for Helloween. (Gamma Ray obviously gets my Metal endorsement to the fullest). Michael Kiske was formidable as the lead vocalist for Helloween, his vocals on Keeper Of The Seven Keys Part I are legendary. I’d have to pick Keeper Of The Seven Keys Part I as my favorite Helloween album of all time… alright, tied with Walls Of Jericho! It’s not that easy, in choosing my favorite Helloween album of all time. (Chameleon from 1993… is not my favorite). Yes, I even liked Unarmed – Best Of 25th Anniversary, which was released on March 30, 2010. No, it was not the Power Metal force we have all come to expect from Helloween, only this album I found to be a very cool listen. Some of the greatest Helloween songs ever, were re-structured with string arrangements and a choir. Dr. Stein really gets a Rock ‘N’ Roll makeover that I find to be a fun listen. At the end of the Metal day though, I’m sure relieved and psyched that Helloween is back, with their potent Power Metal that I’m expecting on 7 Sinners. Andi Deris is an incredible vocalist as well, he can sing Metal lights out. Whoa… can Andi carry a note and sing the roof off. I can honestly say that Gambling With The Devil from 2007 is so powerful, that having a “three way tie” for my #1 Helloween album is Metal justified. Gambling With The Devil is simply put… riveting. 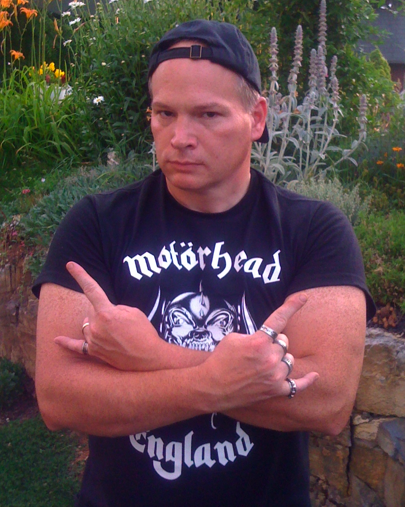 Plus… I’ll throw in the Metal fact that founding member and guitarist Michael “Weiki” Weikath is a super nice guy to interview, one of the “good guys” of Metal… hands down. Kai Hansen is also a super nice guy to talk to… a genuine class act. So, yeah, I get all pumped up anytime Helloween is about to release a new album. This is a band that I could easily write 500,000 words about and still want to write more. Seriously though, how many bands have their been in Metal, or any Rock genre for that matter, that can boast having “3” amazing lead vocalists in their bands history? Not too many I would imagine. 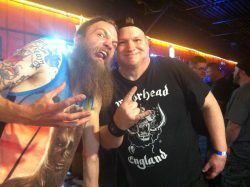 I’m really looking forward to getting my copy of 7 Sinners… and on that day I’m going to be one psyched-out Metalhead. Those are my Metal thoughts for now about Helloween… I’m certain I’ll be reviewing 7 Sinners come November, you can bet your bottom Metal dollar on that one!